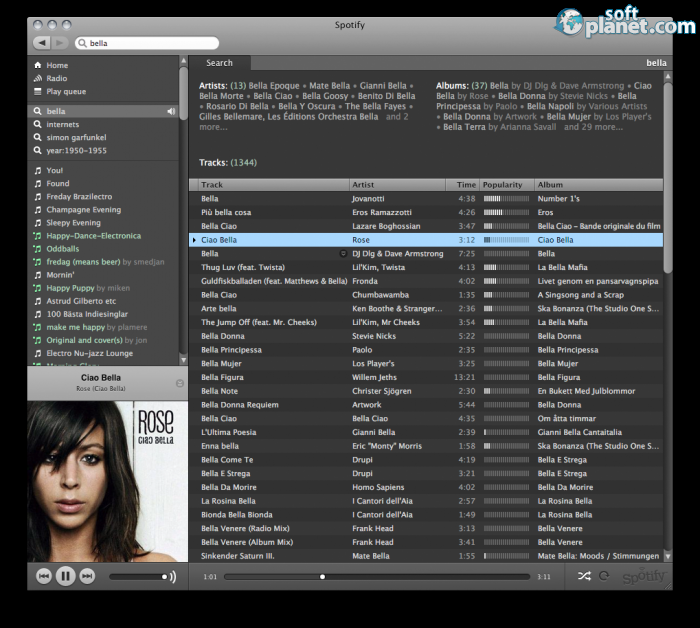 Spotify 1.0.2.6 is a nice commercial music streaming app, which provides you with access to all desired songs. The only thing is to log in with your Spotify account or just by using your Facebook profile. Convenient, right? The application is distributed for free and you simply need to sign up. Spotify 1.0.2.6 is a really simple software app, which allows you to create your own playlist with simple drag-and-drop actions. You can even access it wherever you use Spotify. Is there something better than your favorite music? Yes – its sharing. If you are a big fan of some artists, you can even purchase their albums and even individual tracks. Probably most of you want to know more about their music guru. Spotify 0.9 is capable of providing you with artists' biographies as well. Finally, Spotify 1.0.2.6 is a proper software application, which is an inseparable part of music streaming services. It is very convenient and simple. Now you can listen to your favorite music and share it with friends simultaneously without any difficulties. Our security scan shows that Spotify is clean from viruses. The current version of Spotify has been scanned by our system, which contains 46 different anti-virus algorithms. That ensures that Spotify 1.0.2.6 is 100% safe for your computer.